Justia Lawyer Directory The Law Offices of Gretchen Myers, P.C. About The Law Offices of Gretchen Myers, P.C. The Law Offices of Gretchen Myers, P.C. is a St. Louis-based law firm representing individuals and loved ones in catastrophic personal injury and wrongful death lawsuits. Missouri attorney Gretchen Myers's mission is to hold negligent parties accountable for her clients' injuries in motor vehicle accidents, medical malpractice, and other matters. Initial consultations are always free and confidential. All personal injury cases are handled on a contingency basis. The Law Offices of Gretchen Myers, P.C. never charges a fee unless it obtains a financial recovery for clients in a jury award or settlement. The law firm works hard to prepare every case for a potential trial, and to get clients maximum compensation for their losses. Attorney Myers has obtained tens of millions of dollars for injured clients and their families through jury trials and settlements. With a passion for justice, she dedicates her practice to fighting for clients hurt by the wrongdoing of others. Her experience includes obtaining some of the largest recoveries in catastrophic trucking in Missouri and Illinois. She also represents victims of medical malpractice, workplace accidents, and birth injuries. She is recognized by the Million and Multi-Million Dollar Advocates forums for getting clients jury verdicts or settlements of great than $1 million, and greater than $2 million, respectively. Myers is licensed to practice law in Missouri, Illinois, and California. 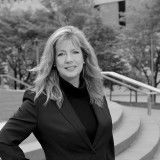 She is past president of the Missouri Association of Trial Attorneys, the Women Lawyers' Association of Greater St. Louis, and has a detailed service record with dozens of legal organizations and associations. Attorney Myers also devotes extensive pro bono time and energy to dozens of St. Louis area and Missouri legal service organizations. Email The Law Offices of Gretchen Myers, P.C. Contact The Law Offices of Gretchen Myers, P.C.